Fill out the form and click on "Submit" to get a coupon for $20 off at AMF. Find all the AMF bowling locations near you. Print and use coupon to save $25 on your $75 or more purchase at Kirkland’s. Coupon expires 2/14/13. Find all the Kirkland's locations near you. Follow all the steps to get a coupon sent to your phone for $2 off on any fountain drink at Regal, UA or Edwards theater. Coupon expires 2/10/13. 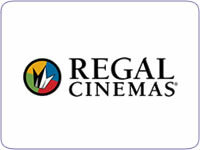 Find all the Regal Cinemas locations near you. Click on the printer icon to print coupons to save money at Stein Mart. Coupons expire on 2/10/13. Find all the Stein Mart locations in your area. 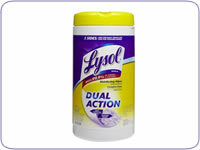 Click on "Clip Coupon", then "Print Coupons" to print coupons to save some money on Lysol brand products. With coupon save $6 on any full service oil change at Valvoline. Coupons expire 2/22/13. Find all the Valvoline store locations near you. Coupon is for $3.50 off of your entire purchase of $10 or more at Ulta. Coupon expires 2/16/13. Locate all the Ulta locations near you. Click on "Print" to print a coupon for buy one Bosch Wiper Blade and get one free at Firestone Complete Auto Care. Coupon expires at the end of the month. Locate all the Firestone Complete Auto Care locations in your area. Click on the Facebook Like button and then "Print Coupon" to print a coupon to save some money at Big 5 Sporting Goods. There is a new deal every Thursday. Locate all the Big 5 Sporting Goods location near you. Coupon is good for $25 off of your $75 or more purchase at New York & Company. Coupon expires 2/12/13. Locate all the New York & Company locations near you.